Have you just become a new dad? Then you’re probably experiencing a dramatic shift in your lifestyle right now as you adjust to having a tiny new human around. While plenty of this is new and exciting, pregnancy and birth can also stir powerful and unexpected emotions, in both men and women. Postnatal depression affects 16 per cent of all new mothers, and is a condition which is becoming increasingly recognised and discussed. However, what’s far less talked about is that new fathers can develop the condition as well. In fact postnatal depression can affect up to one in 10 fathers. Physical signs: Lethargy, headaches, overeating or loss of appetite, trouble sleeping, and weight loss or gain. Feelings and emotions: Unexplained sadness, guilt, shame, anger or anxiety. You might feel overwhelmed or out of control, and find less pleasure in things you used to enjoy. Changes in relationships: Feeling disconnected from your partner, family and friends. You may be ignoring or not returning phone calls, or just want to be left alone. Changes in behaviour: Unable to concentrate or carry out everyday tasks. You may be spending more time at work or using alcohol as a way to cope with how you’re feeling. MORE: Learn more about knowing the signs of postnatal depression. It’s difficult to say exactly what causes postnatal depression. The new pressures of fatherhood, financial strain, lack of sleep, a changing relationship with your partner or a traumatic birth can contribute to new fathers experiencing postnatal depression. What’s more, some men will find they’re more likely to develop symptoms of postnatal depression if their partner is suffering from the condition, or if they have a family history of depression. Another risk factor is having a strained relationship with the baby’s mother through the pregnancy. What should you do if you’re suffering? If you think you may be showing signs of postnatal depression, don’t suffer in silence -- speak to a loved one or your doctor. Alternatively, you can phone beyondblue on 1300 22 4636 or Lifeline on 13 11 14. 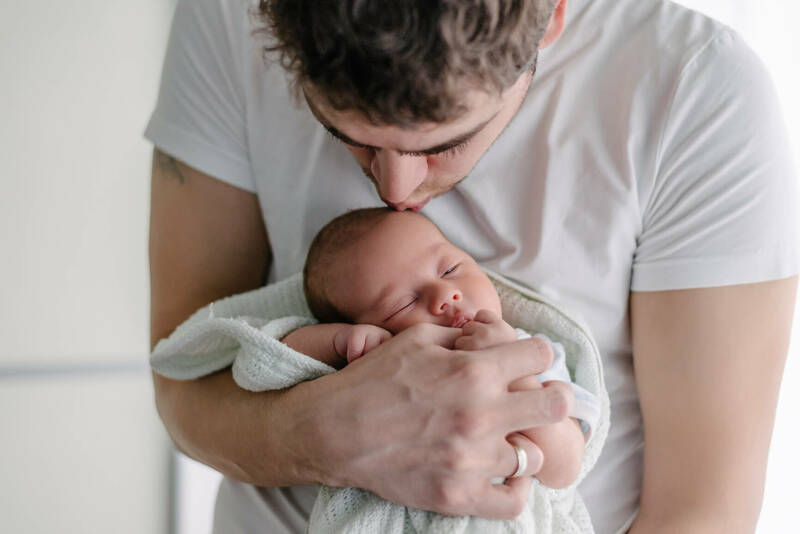 Perinatal Depression and Anxiety Australia (PANDA) also has a website ‘How is Dad Going’ which is dedicated to providing emotional and mental health support for new and expecting dads. Either way, just remember -- the sooner you recognise the signs and treat symptoms, the better you’ll feel in the long run. At Medibank, it’s not just your physical health we care about. Your mental health matters, too. If you’re looking for more information on mental health and the health issues that matter most to young people, click here.